Anh Do nearly didn’t make it to Australia. 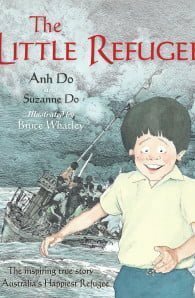 His entire family came close to losing their lives as they escaped from war-torn Vietnam in an overcrowded boat. It was a dangerous journey, with murderous pirates and terrifying storms, but they managed to survive. Life in suburban Australia was also hard for a small boy with no English and funny lunches. But there was a loving extended family, lots of friends, and always something to laugh about for Anh, his brother Khoa and their sister Tram. And eventually for a young Anh, who tried hard to see the bright side of life no matter what the difficulty, there was triumph. 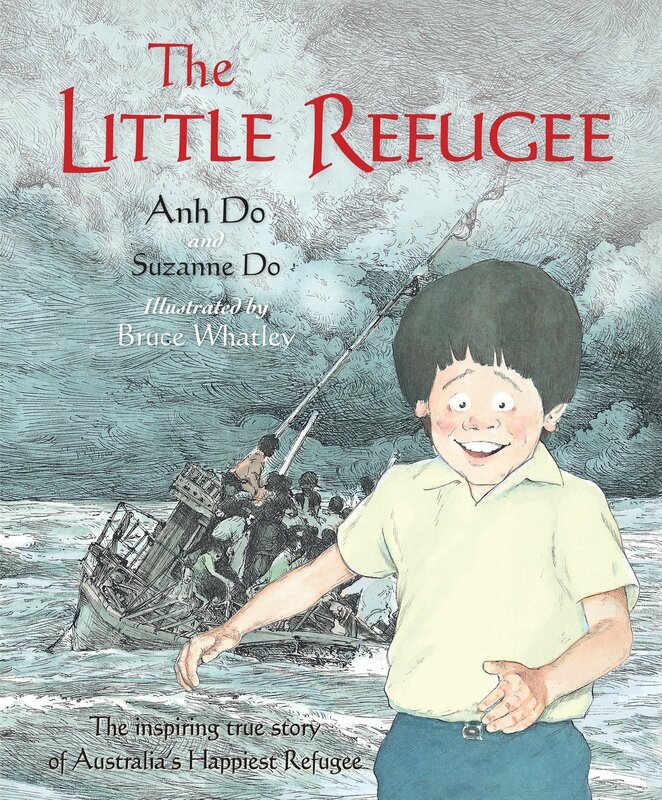 Awarded an Honour Book in the 2012 Children’s Book Council of Australia Book of the Year awards, The Little Refugee tells the uplifting and inspiring childhood story of one of Australia’s favourite personalities. I spent the earlier part of my working life in advertising as an art director and illustrator but since 1992 I have written and/or illustrated over 60 children’s picture books published both in Australia and overseas. The award winning titles include The Ugliest Dog in the World, Looking for Crabs, Detective Donut and the Wild Goose Chase, Diary of a Wombat and Baby Wombat’s Week which took out the Australian Book Industry Award in 2010. Flood and The Little Refugee both were CBCA Honour books in 2012 and Nog and the Land of Noses a Notable book. My main inspiration has been my family, who feature in several of my earlier picture books. I use a variety of illustration medium including gouache, pen and ink, pencil, oils, watercolour and more recently CGI software. I aim to entertain and surprise the reader with illustration styles that vary considerably depending on the text and the age group of the audience. I often work with my wife Rosie Smith, who has co-authored several titles including Whatley’s Quest, Detective Donut and the Wild Goose Chase, Little White Dogs Can’t Jump, My Mum's the Best and Dad's the Coolest. In 2002 I formed a successful partnership with Jackie French resulting in the Award winning Diary of a Wombat series of books. Books released in 2010 include Hunting for Dragons, Zoobots which I illustrated with his son Ben, Monster – a collaboration with Andrew Daddo and another book with Jackie French, Queen Victoria’s Underpants. In 2011 titles included Nog and the Land of Noses (CBCA notable book 2012), Flood (CBCA shortlisted 2012) another collaboration with Jackie French, The Little Refugee (CBCA shortlisted 2012) with Anh Do and Tin Toys another book with Ben. I completed my PhD, in 2008 Left Hand Right Hand: implications of ambidextrous image making looking at the image making of the non-dominant hand discovering that in most people the ability to draw lies in using the ‘other’ hand. I am continually looking for new innovative ways to make images to tell my visual narratives. It's just an excuse not to grow up really! I made a severe and continuous lapse in my judgement, and I don’t expect to be forgiven. I’m simply here to apologise. What we came across in the woods that day was obviously unplanned. The reactions you saw on tape were raw; they were unfiltered. None of us knew how to react or how to feel. I should have never posted the video. I should have put the cameras down and stopped recording what we were going through.